Well known Houston rapper and philanthropist, Trae Tha Truth, and his 501c3, Angel By Nature, are asking people to contribute to their Harvey Relief Fund, We Are One, specifically catering to the under-served and seniors in the Houston and Golden Triangle (Port Arthur, Beaumont, Orange) areas. So far the fundraiser has raised over $32.5K of its $250K goal. The organization is also accepting ‘in kind’ goods including clothing, food, baby items, pet food and supplies etc. 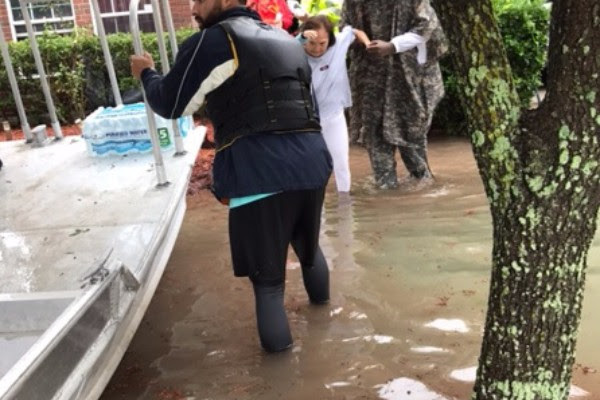 Trae, who has spent the past couple of days riding around with his local fire department doing water rescues, had to rescued himself by friends during the worst part of the rain and the enormous amount of suffering he is witnessing has inspired him to once again step up for the city he loves. Drop off locations for non-monetary donations can be identified by contacting: Tiffany (832) 250-3565.